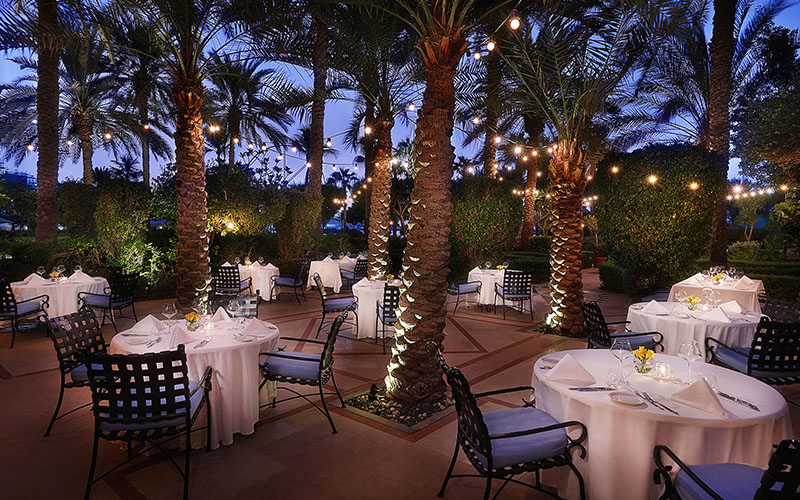 It’s the best time of year to make the most of Dubai’s al-fresco dining scene, and The Ritz-Carlton, Dubai is not short of breathtaking views, beautiful gardens and a host of delicious F&B offerings for foodies to enjoy this winter. 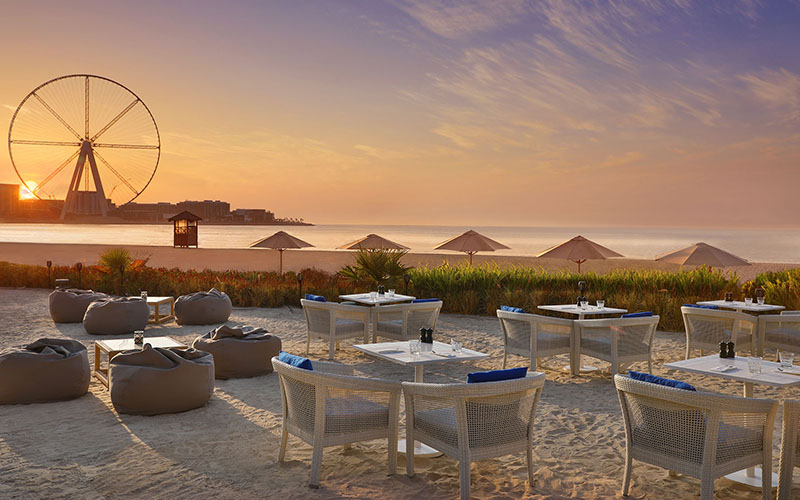 Nestled on The Ritz-Carlton, Dubai’s white-sand beach, Palm Grill is the only dining destination located directly on the sand and offers breathtaking views of the Arabian Gulf, where no shoes and certainly no filter are needed! A casually chic ambience, is perfectly paired with a wide selection of grills and Mediterranean cuisine, complemented by delicious desserts, island inspired beverages and live tunes; an ideal locale for sunset sundowners, hubbly bubbly and beachside dining. An Italian restaurant inviting guests to dine under the stars on the Tuscan-style Piazza and Terrace or indoors for classical sophistication, as Chef Francesco and his team serve a refined menu of traditional Italian classics. As the night’s sky beckons, take advantage of Aperitivo every day from 5 pm to 7 pm – the start of your journey with themed canapes and select beverages. Specialising in pan-Asian cuisine, where Chef Ta Van deftly composes dishes that honor the flavors of his native Vietnam as well as those of Thailand, Singapore, Japan and China. 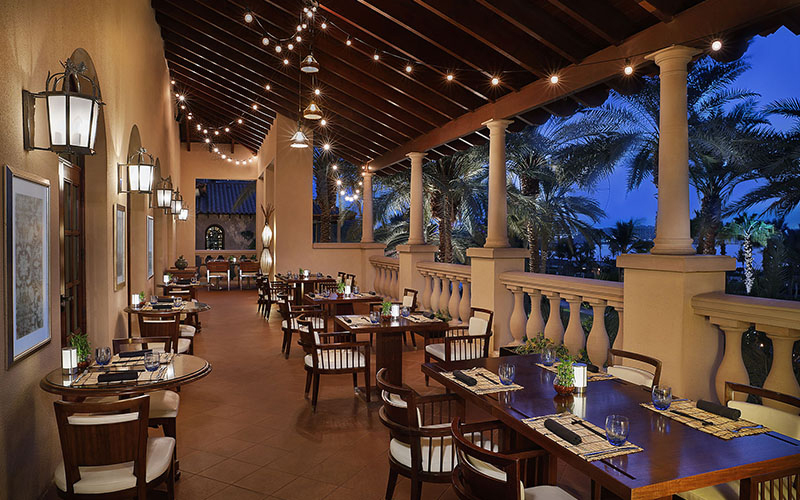 Dine on the picturesque terrace overlooking the hotel’s gardens, in the intimate setting of the private dining room or barside for some light bites. Guests can indulge in special weekly presentations of all-you-can-eat sushi and dimsum, along with seasonal, special menus. With its Bedouin-inspired tents scattered beneath twinkling desert skies, Amaseena, an all al-fresco restaurant captures the romance of Arabia. 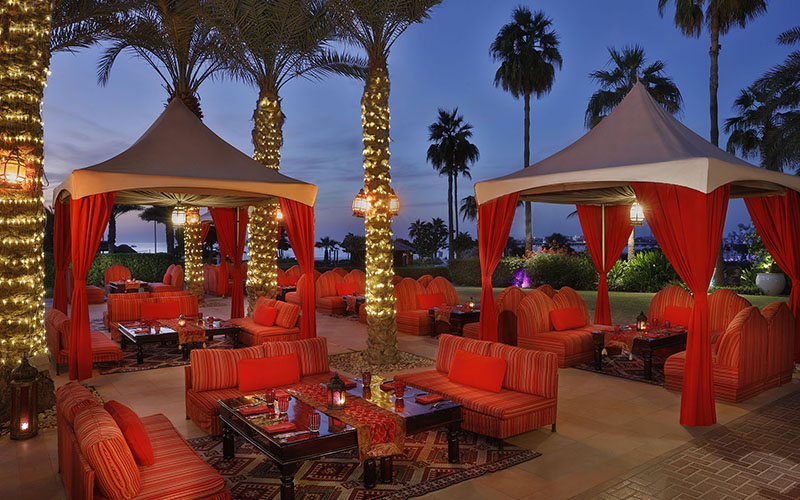 Enchant your palate with a Middle Eastern buffet feast, specialty dishes, live cooking stations and mouthwatering fresh seafood. The perfect restaurant for visitors and residents alike to delve into the region’s culture and cuisine, with live music every night and on Wednesdays and Thursdays the restaurant hosts a special theme night, complemented by live music, additional entertainment including belly dancer and tanourah performer and an amazing hubbly bubbly selection. 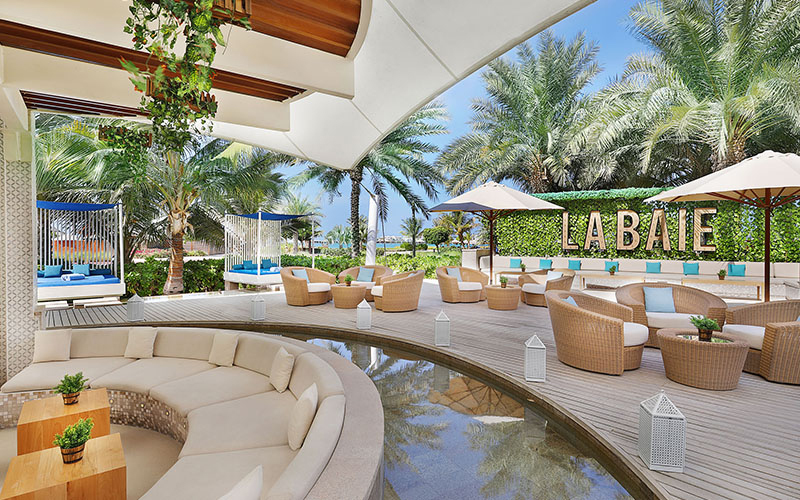 ‘La Baie’ is a hip and chic lounge venue which offers the perfect indoor and outdoor setting along the coast of the Arabian Gulf for socialising, chilling out and sports game viewing with friends and colleagues. Follow all the jam-packed action and every game from across the globe, whether tableside or lounge and bar seating. The highlights – an adults-only pool with private cabanas, an eclectic selection of hubbly bubbly, swim-up bar and refreshing Mediterranean inspired menu. Details: For more information, or to make a booking, please visit the website, email dine.dubai@ritzcarlton.com or call 04 318 6150.